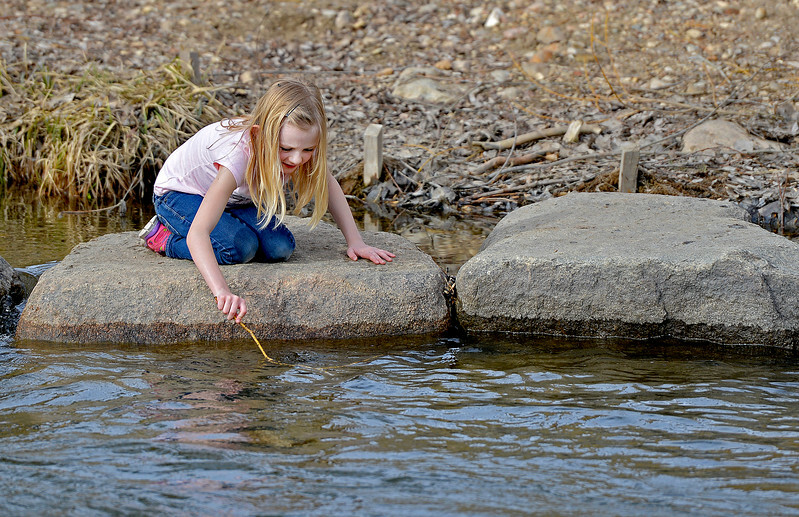 Seven-year-old Adeline Miller plays on the rocks in the Big Goose Creek Wednesday at Kendrick Park. 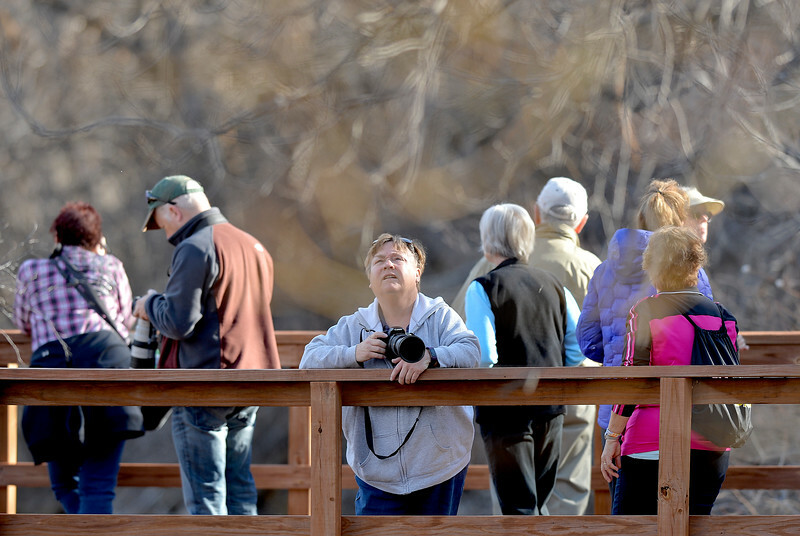 Sheridan residents enjoyed the extra hour of sunshine and a high temperature of 74. 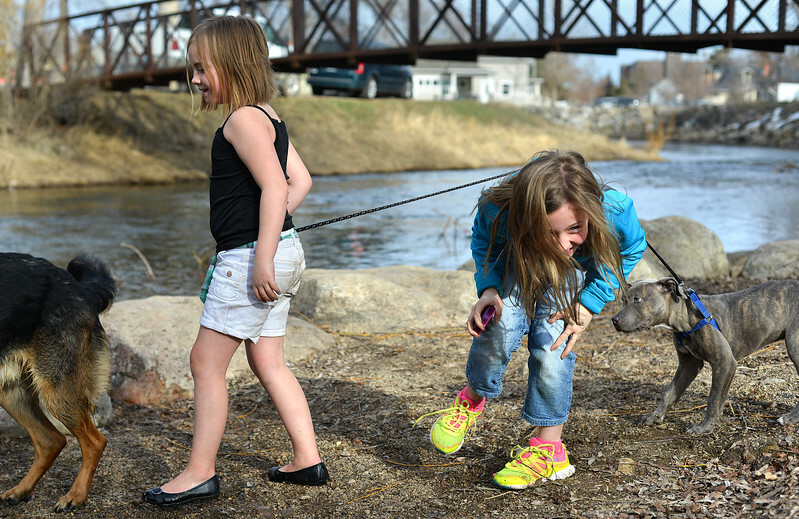 Nine-year-old Gabby Springsteen ducks under the leash as Jayda Kelly, 8, leads her young pitbull named Poseidon by the Big Goose Creek Wednesday at Kendrick Park. Sheridan residents enjoyed the extra hour of sunshine and a high temperature of 74. 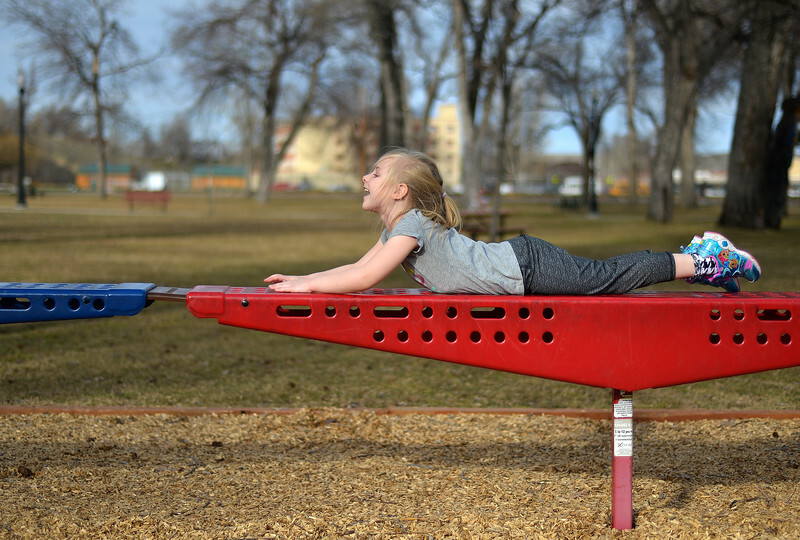 Six-year-old Sophia Harnish plays on the playground Wednesday at Kendrick Park. 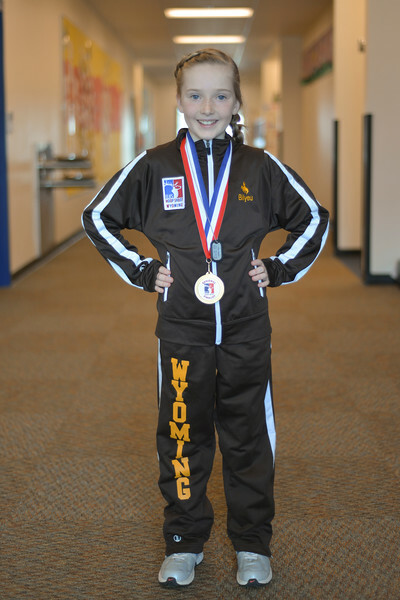 Sheridan residents enjoyed the extra hour of sunshine and a high temperature of 74. 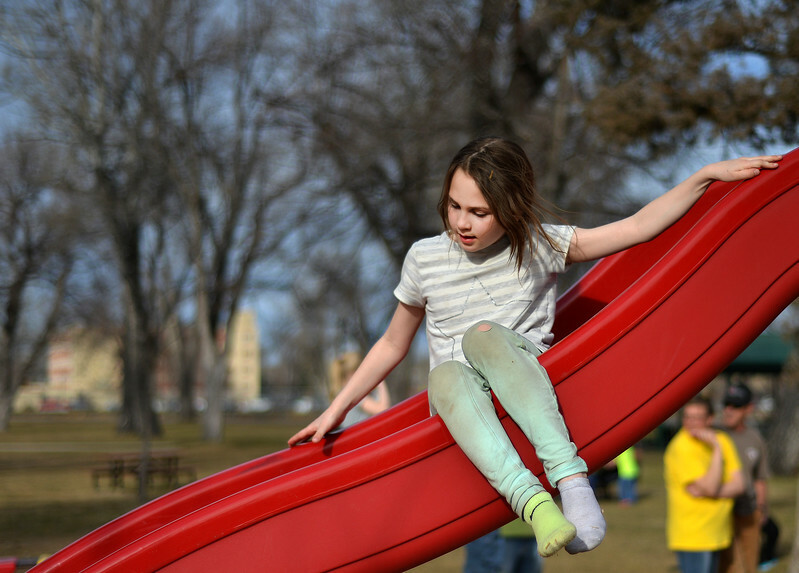 Eight-year-old Emmelyn Schasteen slides on the playground Wednesday at Kendrick Park. Sheridan residents enjoyed the extra hour of sunshine and a high temperature of 74. 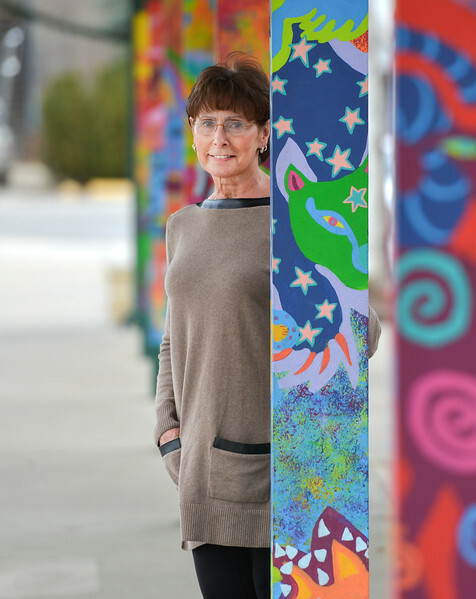 Associate Executive Director Diane Ballek will retire this year after serving at the Sheridan County YMCA for 12 years. 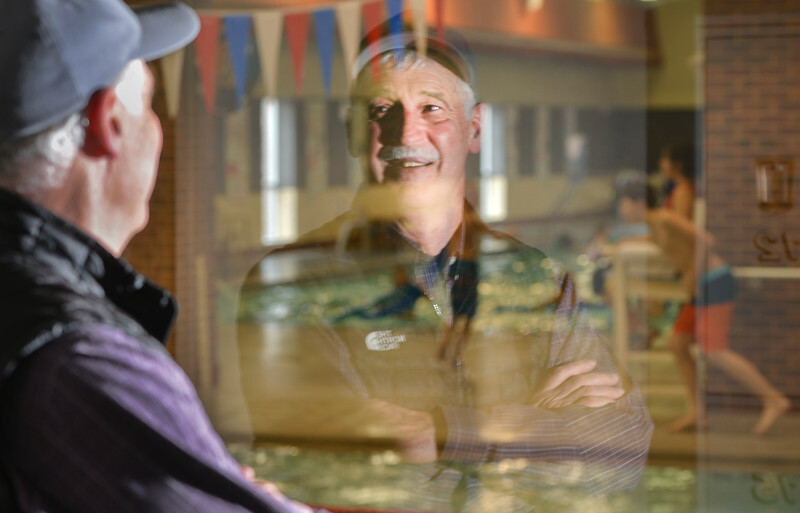 Executive Director Jay McGinnis looks over the swimming pools as children from the after school program play on Wednesday at the Sheridan County YMCA. 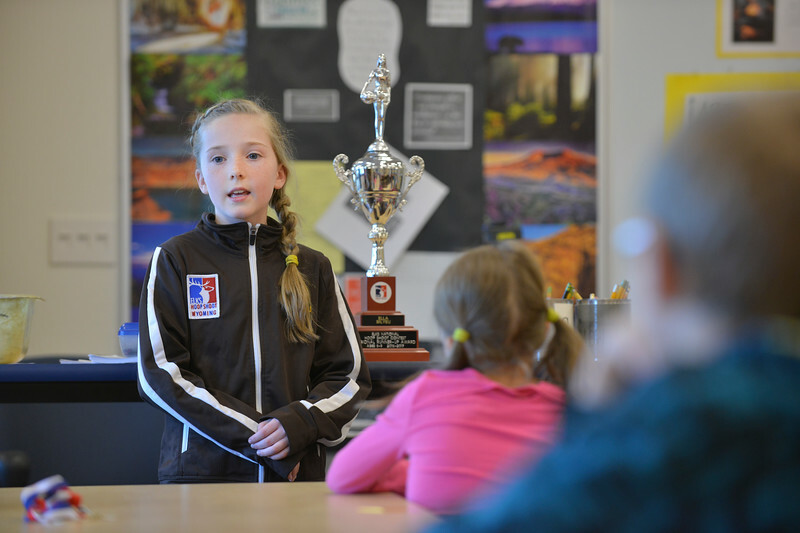 Building the pools and raising funds for the new Aquatic Center are among McGinnis’ proudest achievements. McGinnis will be retiring at the end of this August after serving at the nonprofit organization for more than 40 years. 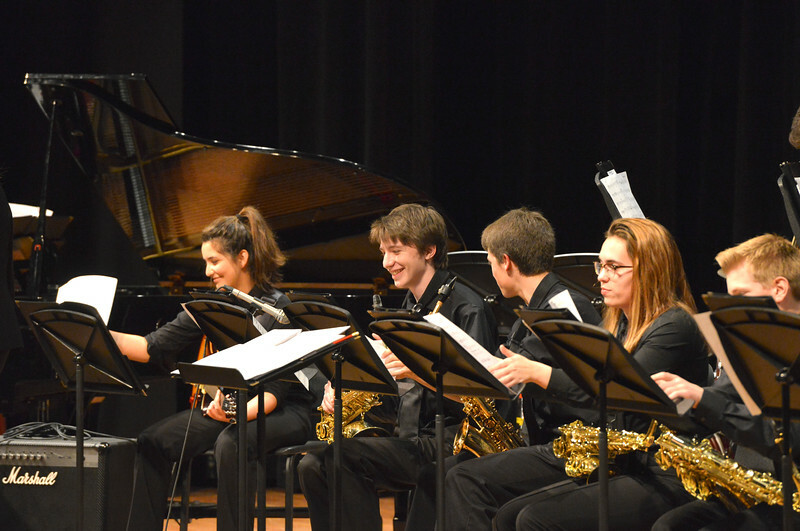 Students flip their music sheets between songs during the Band Department’s “All That Jazz” concert night Thursday at the Sheridan High School Sue Henry Auditorium. 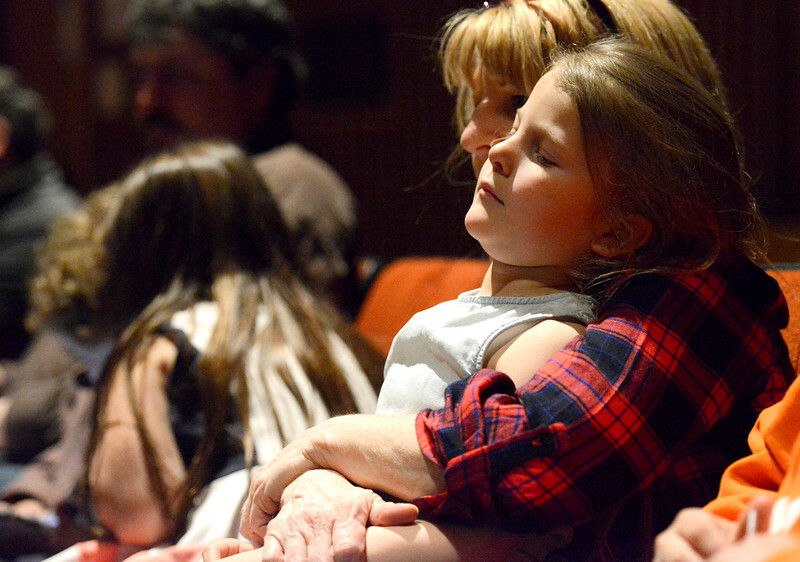 Meg Montgomery holds Gracee Tellez, 5, during the Band Department’s “All That Jazz” concert night Thursday at the Sheridan High School Sue Henry Auditorium. 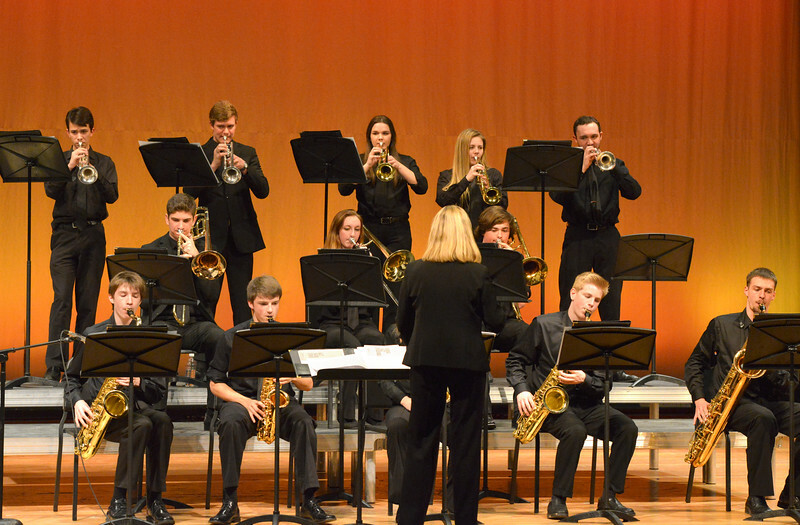 Students play during the Band Department’s “All That Jazz” concert night Thursday at the Sheridan High School Sue Henry Auditorium. 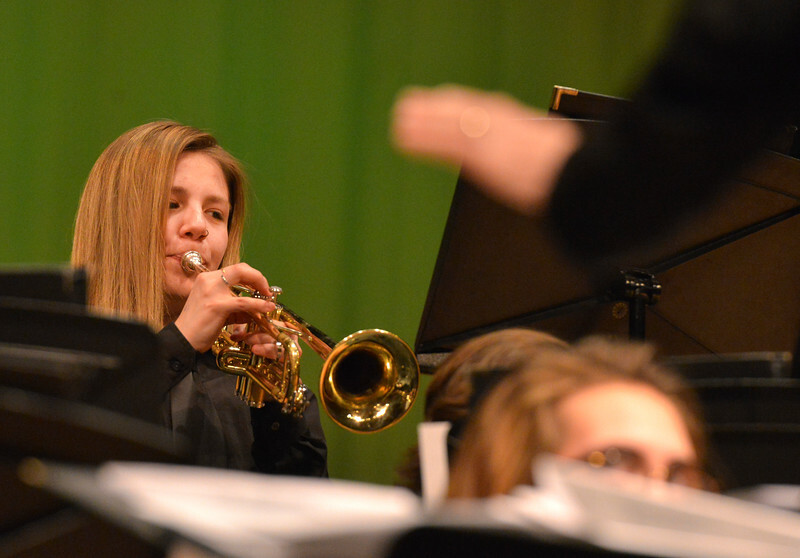 Mallarie Apodaca plays the trumpet during the Band Department’s “All That Jazz” concert night Thursday at the Sheridan High School Sue Henry Auditorium. 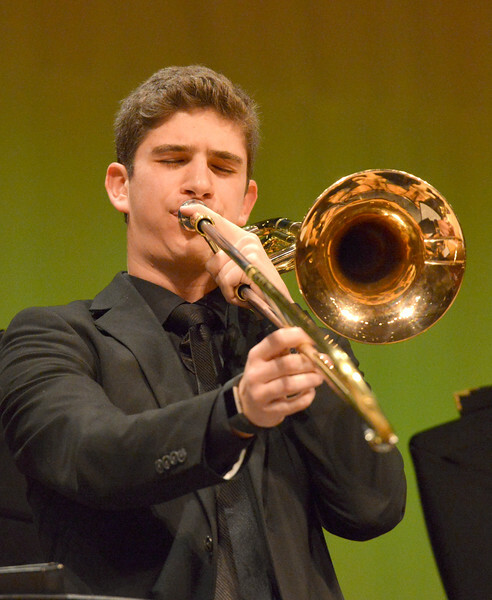 Cooper Neavill plays a solo during the Band Department’s “All That Jazz” concert night Thursday at the Sheridan High School Sue Henry Auditorium. 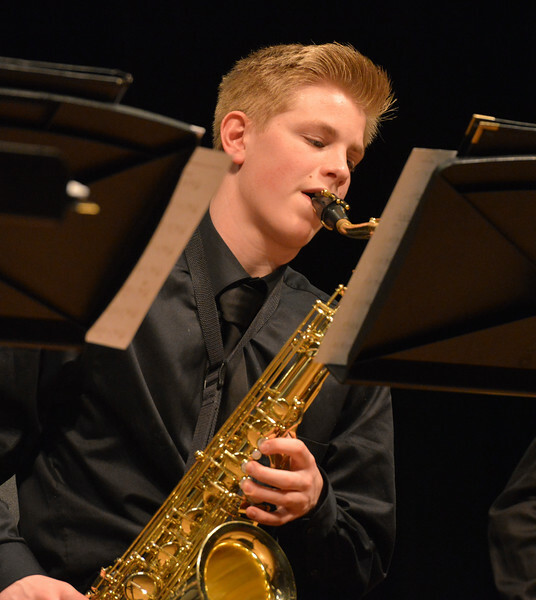 Steen Avery plays the saxophone during the Band Department’s “All That Jazz” concert night Thursday at the Sheridan High School Sue Henry Auditorium. 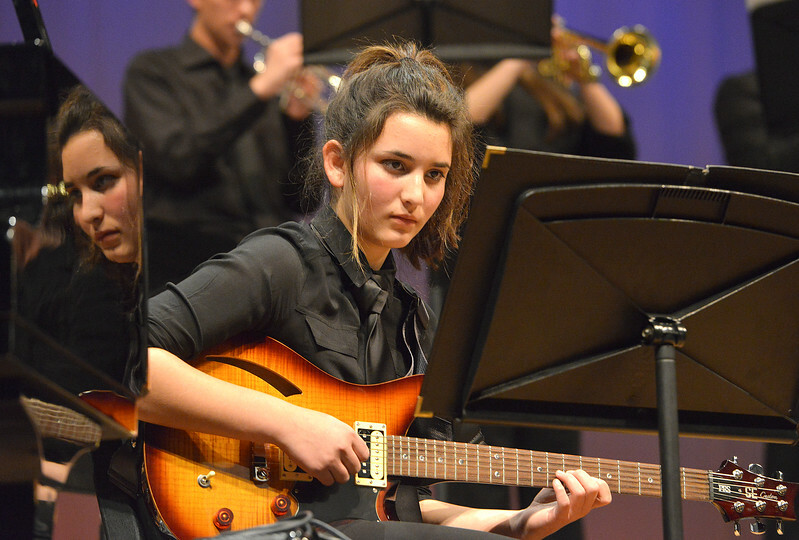 Nandy Crabb plays the electric guitar during the Band Department’s “All That Jazz” concert night Thursday at the Sheridan High School Sue Henry Auditorium. 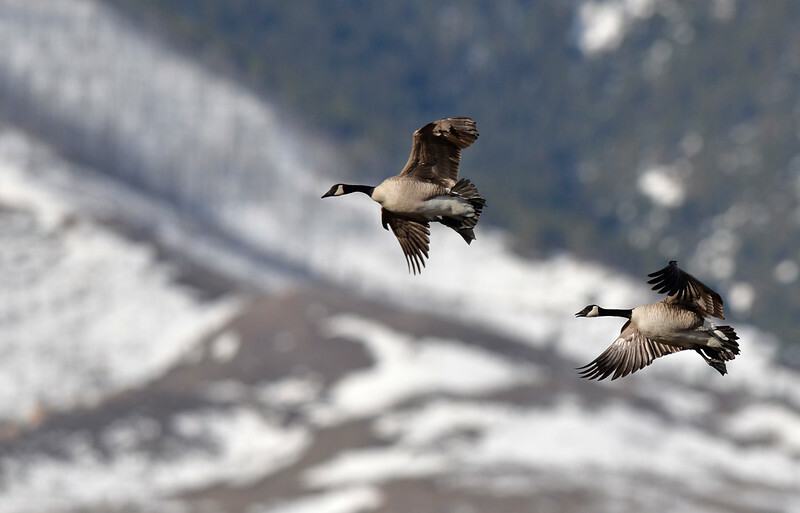 Canada Geese fly towards a pond during the Bighorn Audubon Society Birding at the Brinton Saturday in Big Horn. 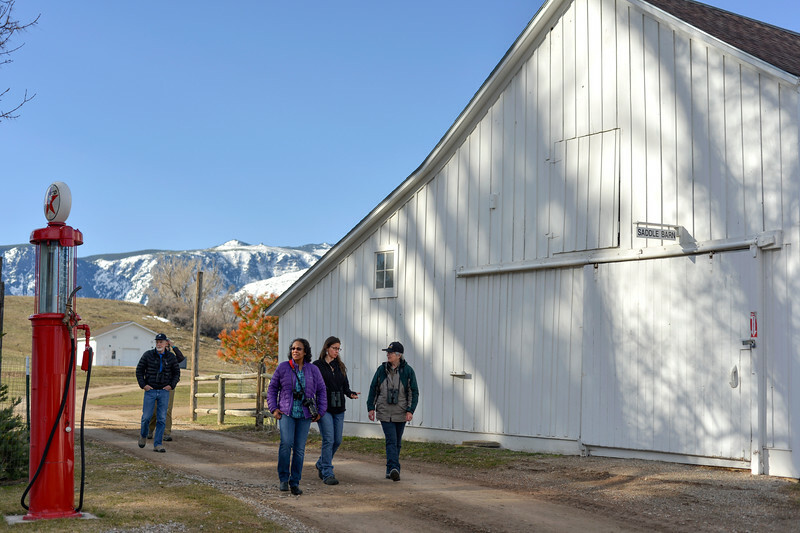 Bird watchers walk past the barn during the Bighorn Audubon Society Birding at the Brinton Saturday in Big Horn. 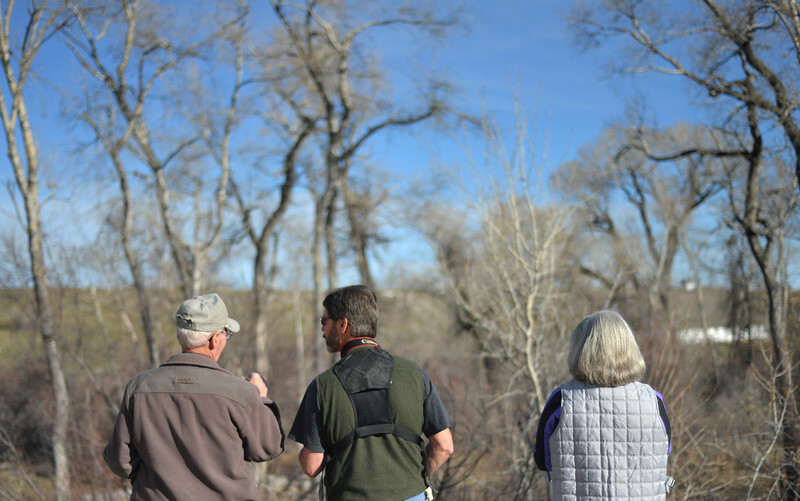 Bird watchers look over the Little Goose Creek during the Bighorn Audubon Society Birding at the Brinton Saturday in Big Horn. 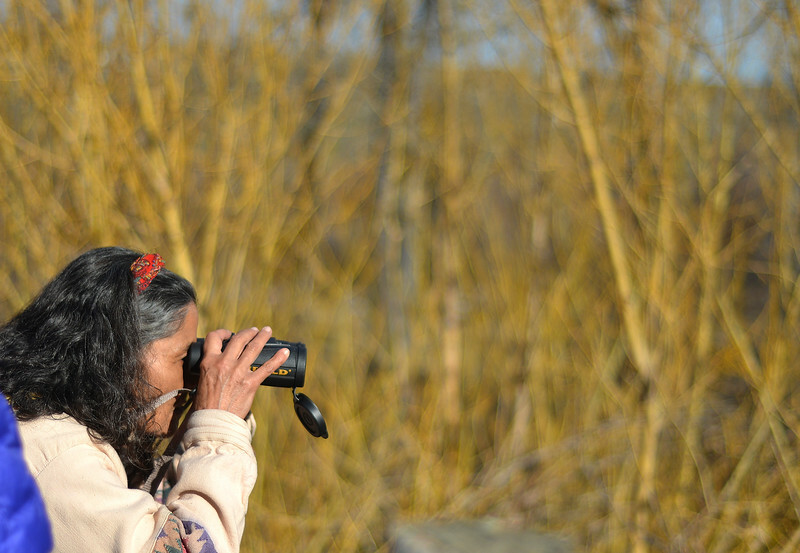 Kathi Kindt looks through her binoculars during the Bighorn Audubon Society Birding at the Brinton Saturday in Big Horn. Deb Archer of Buffalo searches for the American Dipper on the Little Goose Creek during the Bighorn Audubon Society Birding at the Brinton Saturday in Big Horn. 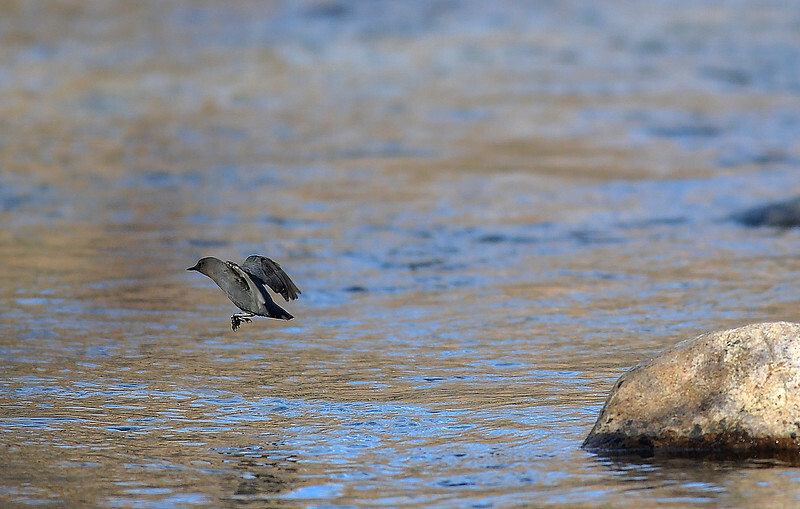 The American Dipper leaps from a rock in the Little Goose Creek during the Bighorn Audubon Society Birding at the Brinton Saturday in Big Horn. 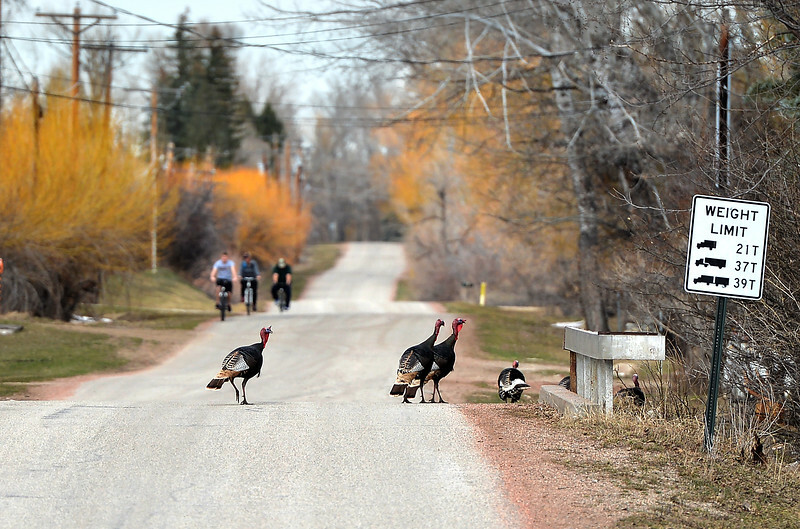 Turkeys cross a bridge Saturday afternoon in Big Horn.